and down the famous Grand Wailea beach path from the Four Seasons and Grand Wailea Resorts. Two to five bedroom Ocean Front and PRIME Ocean Front vacation rental units fully appointed with virtually all amenities including complete air conditioning, high speed internet (in all our units), Washer/Dryer (in all units), and full kitchens. 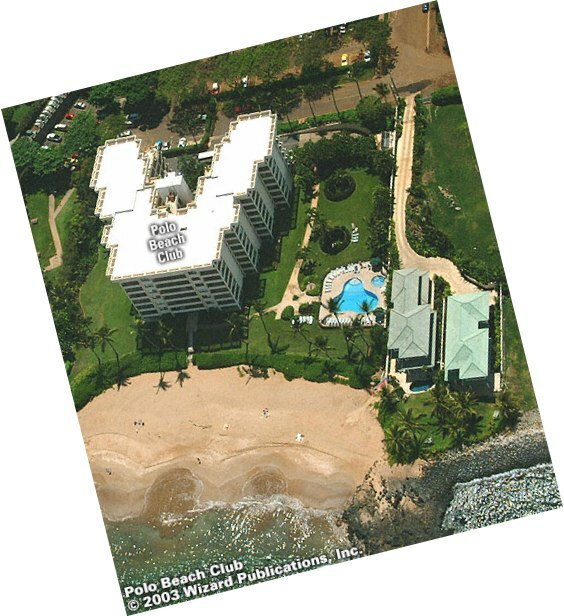 The Polo Beach Club is a Wailea resort on the Wailea Beach path and offers garage parking, elevators, a large beach front pool, jacuzzi, private beach views, 3 gas barbeques with breathtaking views of the Maui sunsets and five islands. Located across the street is the Wailea Golf Course, next to the Fairmont Kea Lani, and near the Grand Wailea and Four Seasons Resorts. No, there is not polo played here, nor are Polo shirts sold! Polo Beach came from: Ke One o Polo (the Sands of Polo), and earlier was part of an Ulupalakua horse ranch. Polo Beach and its frothy shore break are crowned by the gentle dome of distant Kahoolawe. 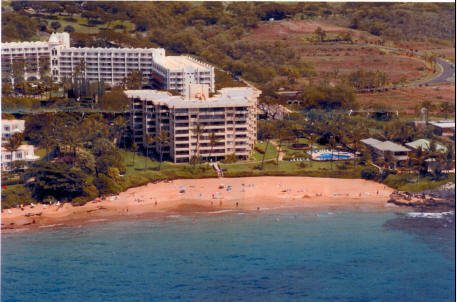 This strand was considered part of Wailea Beach by old-timers and never was given a Hawaiian name. Horses and cattle sauntered down the mountain from Ulupalakua Ranch to drink from the natural spring that emerged from the sand near the rocks. The animals were often seen pawing in the sand for the spring water on calm, low-tide days. It was called "Dead Horse Beach" during the ranching days. That wasn't a flattering name for such a lovely beach and, when the construction of the Wailea resort began, the name "Ke One o Polo" (the Sands of Polo) was given to it. 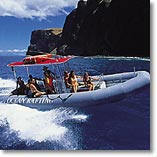 The name also appeared in the pamphlet "Ke Alaloa o Maui." Long-time residents knew it as Ferkany Beach. In 1950 Judge Cable Wirtz, who owned several acres of land adjoining the strand, sold part of it to Dr. Joseph Ferkany. There were two beach houses on it with peaked roofs that became landmarks to fishermen passing offshore in their boats. The fishermen started calling the area Ferkany Beach. In 1959, the doctor changed his name from Ferkany to Andrews. It didn't make any difference. The area was still Ferkany Beach until the resort changed the name. Golf, tennis, restaurants, shopping, sightseeing, snorkeling, surfing and other ocean sports are all on site or nearby with to do for kids. Selected as a top choice, ranked by number of amenities on www.10TopResorts.com .